One of the keys to youthful looking skin is exfoliating two to three times weekly. You will love our NEW Volcanic Sea Scrub. It’s a natural, fast, and effective way to remove dull surface skin cells, impurities and decrease pore size. In addition, it offers over 72 ionic sea minerals that moisturize and beautify the skin, jojoba oil, plus antioxidants vitamin E and green tea leaf extract, and citrus oils including lime, lemon and orange to cleanse, tone, moisturize, and balance. NOTE: If you have rosacea, do not use a scrub. Instead, make a mask using our Exfoliating Enzyme Powder. 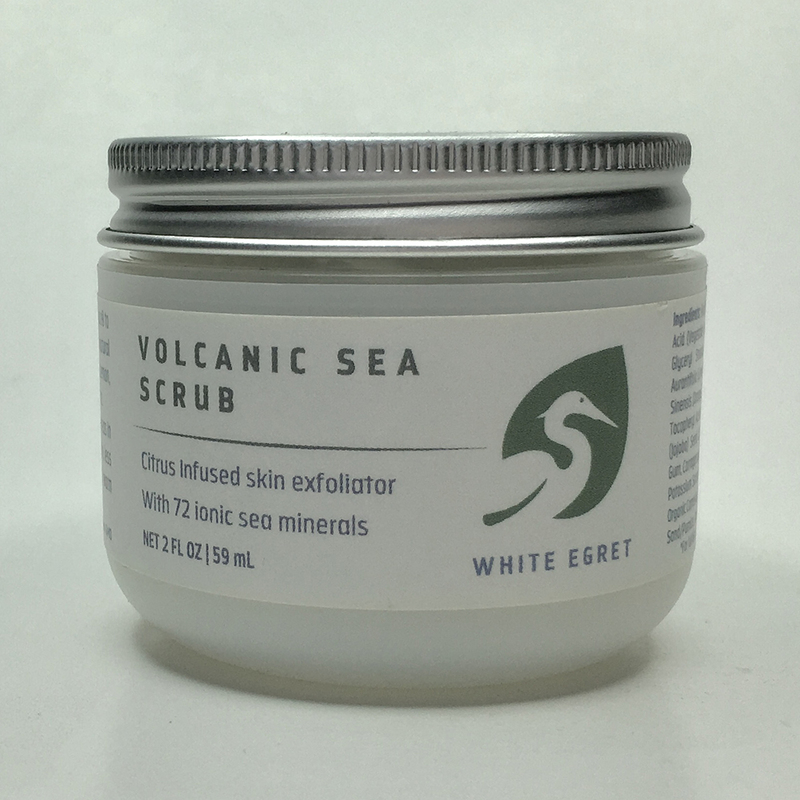 Description: An exciting, refreshing and invigorating experience with volcanic sand, 72 Ionic Sea Minerals from ConcenTrace® and citrus oils for a perfect balance of healing properties and exfoliation to moisturize and beautify the skin. Enriched with Vitamin E to give the skin a smooth, even complexion and youthful glow. Directions: Cleanse skin with Beyond Clean Cleanser. On wet skin, apply the Volcanic Sea Scrub scrub in a gentle, circular motion for up to 1 minute. For sensitive skin, less pressure is recommended. Rinse thoroughly with warm (not hot) water. Pat dry. Recommended use 2-3 times a week. Follow with our antioxidant-rich Soothing Toner, then moisturize with Ultimate Age-Proofing Complex or De-Aging Solution.